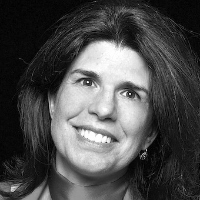 Nancy M. Williams performs the No. 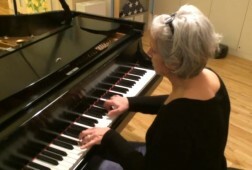 30 from Schumann’s Album for the Young as part of her keynote workshop for the CHHA National Conference in 2014. Schumann’s No. 30 from Album for the Young has a way of casting a spell of contemplation over its listeners. 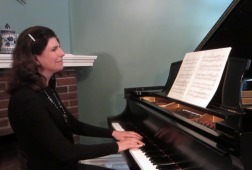 Whenever I perform this music, I meditate on how I reclaimed my passion for classical piano music. I want to share with you my secrets on how to study and play the No. 30 with best effect. The No. 30 is one of the pieces at the back of Album for the Young that offers concert repertoire that is nonetheless accessible for the advanced student of adult piano lessons. In order to appreciate this music, we should start with its composer. 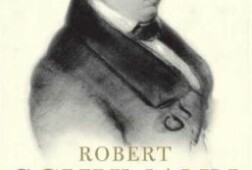 Robert Schumann loved writing almost as much as composing. In the mid-1830s, he launched, as chief editor, the Neue Zeitschrift für Musik (New Journal for Music). For his journal, he often wrote under the pen names of two distinct personalities, Florestan and Eusebius. While Florestan was impulsive and exuberant, Eusebius was thoughtful and contemplative. 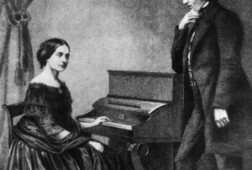 These two aspects of Schumann’s personality also suffused his music. The No. 30 “is contemplative and expresses the Eusebius side of Schumann’s personality,” says Mark Pakman, adjunct professor at the Cali School of Music and my piano teacher. Once I learned the notes, I agreed with his assessment. This four-minute piece doesn’t have a dramatic arc with crashing chords or chattering scales; the sound ascends to forte on only two brief occasions. The biggest challenge in studying the No. 30 is to create its contemplative mood via meaningful phrasing. The phrases in this decidedly Romantic music have less resolution than music from the preceding Classical era. Take, for example, the No. 30’s opening motif, a C lingering with longing, two As gaining urgency, and then the motif sliding with resignation into a G. This G clearly marks the end of the motif, yet it feels somewhat unresolved, as though the impulsive Florestan had snuck into the music and sliced off the motif. I found that playing only the top melodic notes of the chords helped me to absorb the melody and its phrasing. Away from the piano, I tested myself, making sure I could sing the melody in tune and out loud. Further complicating the phrasing is the fact that the No. 30 has a surprising amount of repetition. 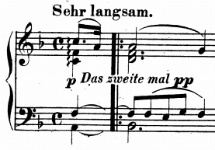 The opening motif I described above appears four times in the music’s first period, a section that is then repeated, at Schumann’s suggestion, in pianissimo. Moreover, the entire second half of the music is essentially a repeat of the first. When my piano teacher first showed me the music, I silently registered the repetition with some glee: I could learn the notes quickly. Yet once I absorbed the notes I faced the challenge of preventing the music from sliding into a pool of monotony. One technique for creating variety in the No. 30 is to use tempo rubato. Take, for example, the opening motif, the lingering C, followed by two As, and finished with G. My piano teacher and I decided that the first time I played this motif, I would slightly delay the dotted C note, in contrast to playing the motif strictly in time in its next appearance. Schumann begins the music with a chord arpeggiato, and uses them frequently throughout the No. 30. Don’t do as I did, and create a bad habit that is later difficult to undo, by playing all three notes of these chord arpeggiatos with equal emphasis. The top note is the melodic one. If you play the first two notes with a delicate touch and allow the top note of each arpeggiated chord to ring out, the music will shimmer. In the No. 30’s second section (measures 9 to 16, repeated in 25 to 32), half-note, trombone-like octaves ring out, while an inner voice picks its way up and down the keyboard, as though stepping through wildflowers. In order to achieve a contrasting effect, practice the octaves and the inner voice separately. Schumann’s No. 30 from Album for the Young has become a staple of my repertoire. I hope you will obtain as much enjoyment as I did studying this music. For me, the contemplative No. 30 packages feelings of longing and seeking with a wrapping paper softly glowing when turned towards the light. A version of this article first appeared on The Cross-Eyed Pianist. Composed by Robert Schumann. Edited by Gary Busch. For piano. Classical. FJH Classic Editions. 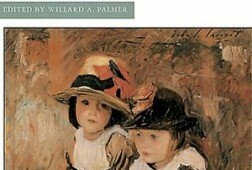 Romantic Period. Book. Published by The FJH Music Company Inc (FJ.H1011).